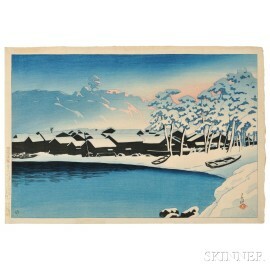 Kawase Hasui (1883-1957), Morning Snow at Ogi Harbor, Sado Island, Japan, December 1921, color woodblock print, published by Watanabe, from the series Souvenirs of Travels II, signed with "Kawase" seal, publisher's I-seal (1918-1924) on print, titled and dated with series information in a cartouche on left margin, oban yoko-e, 10 1/4 x 15 in. 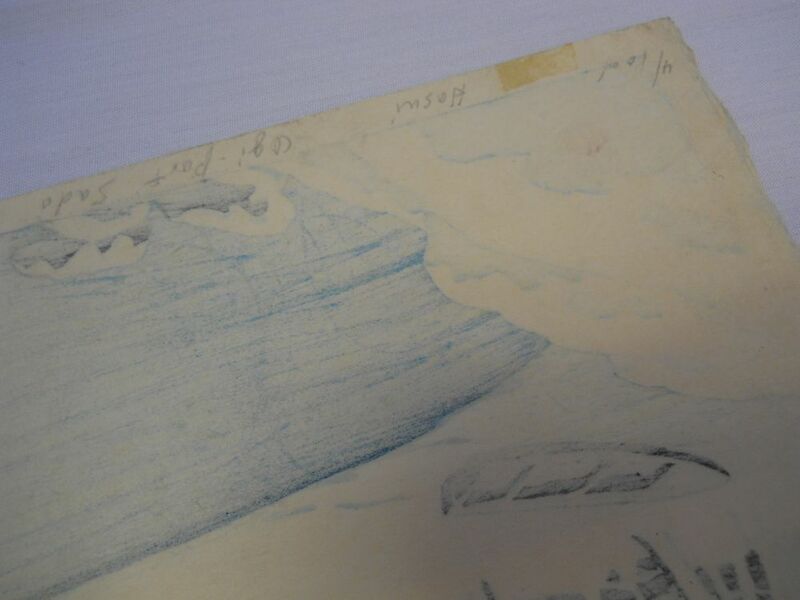 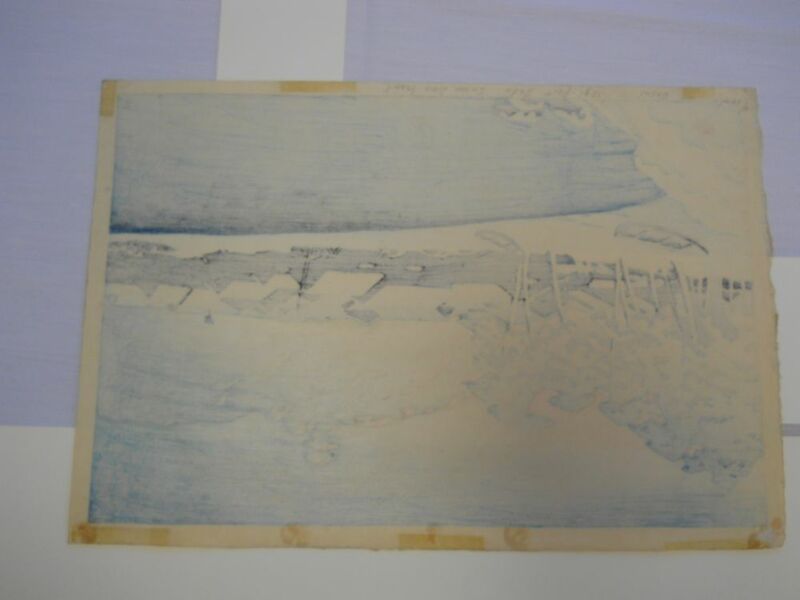 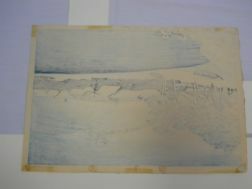 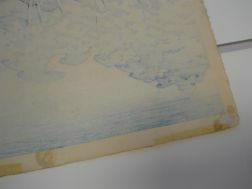 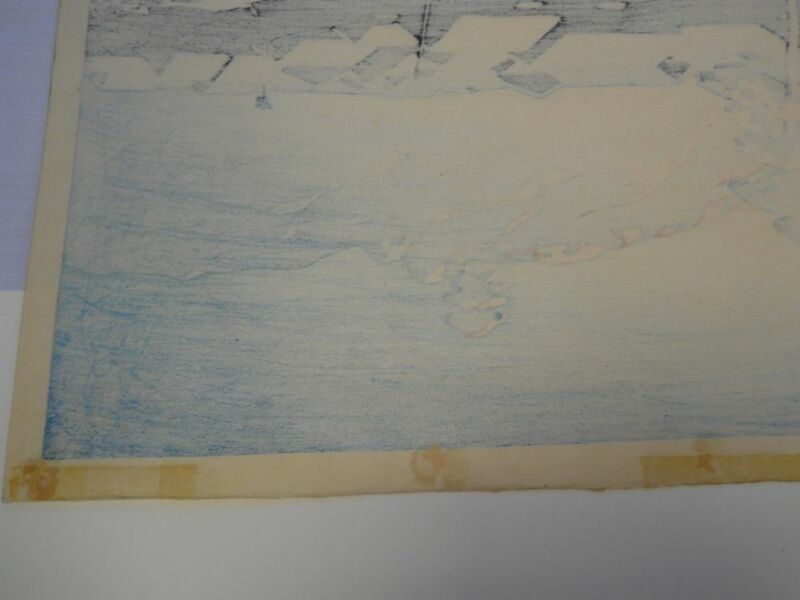 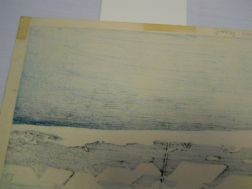 Condition: Slightly toned, minor discoloration from tape on verso. 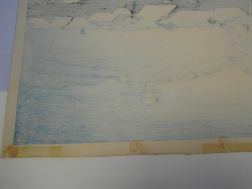 Provenance: Sotheby's, Lot 151, June 25, 1985. 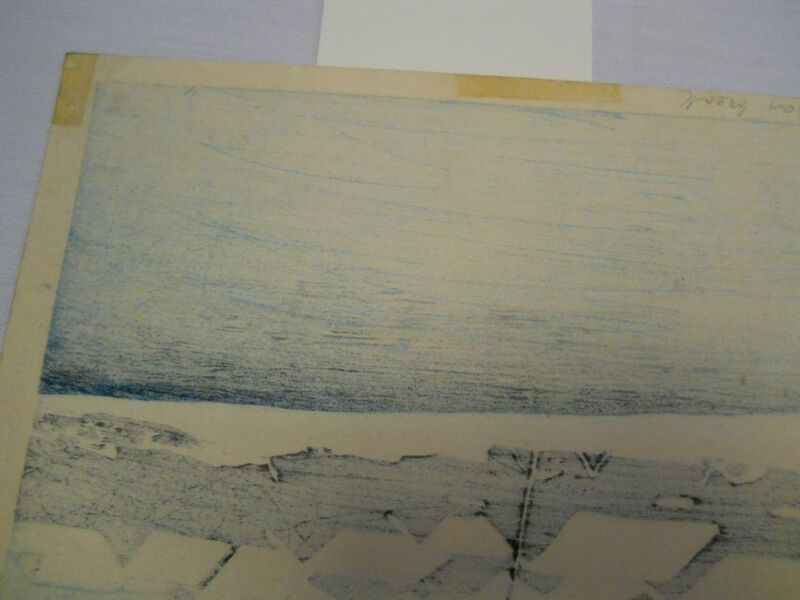 Slightly toned, minor discoloration from tape marks on verso.